Autumn feels cosier and comfier in the warm embrace of your favourite doctor, which, of course, is the Rocktologist. 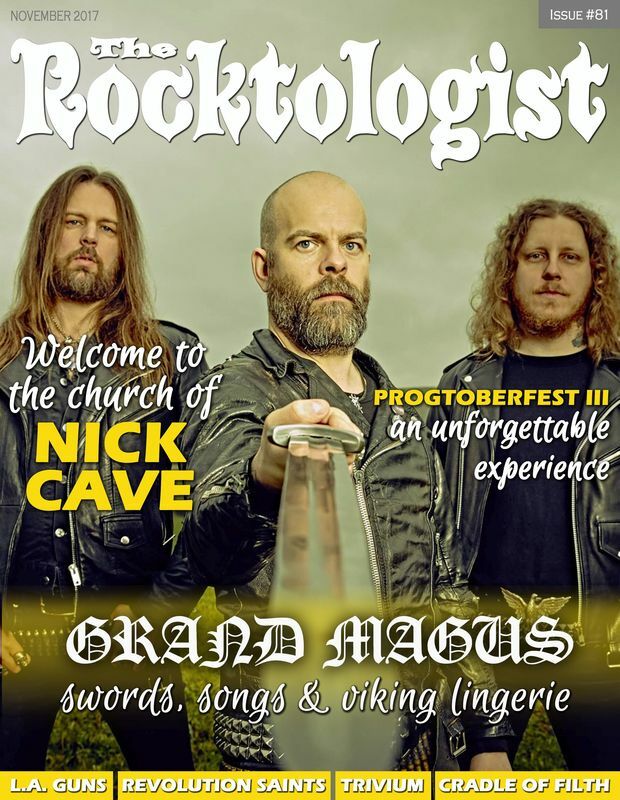 From Chicago, USA, we bring you a lengthy feature on ProgtoberFest III, and in a slight change of mood a gloomy catharsis that is the church of Nick Cave. And what do Vikings and metal have in common these days? Well, be sure to ask Grand Magus to elaborate on that. Among reviews you just have to chew over out this month are Pyramaze (we’re revisiting their 2004 debut release), a freshly baked gothic metal brownie by Cradle of Filth, Revolution Saints (showing some funked up moods on a 80s movie track), Trivium, and a lukewarm entry by L.A. Guns among others.... Cheers! 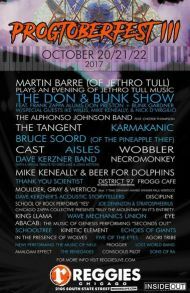 ProgtoberFest III - an unforgettable experience! High hopes - There are plenty of killer bands and artists out there just waiting to be picked up, and Rocktologist is happy to give you some useful pointers on which of them to check out. This time we urge you to check out WEDGE, Berlin's vintage rock trio.